WSAS members Julie Batty, Jane Dahill and Des Willcox will be showing their artwork in a pop-up exhibition on Friday 2nd November from 7pm to 9pm. 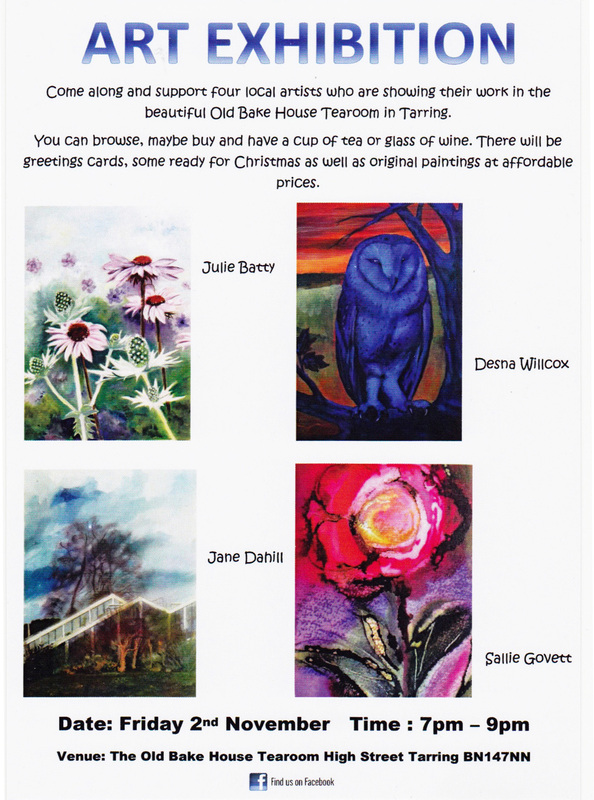 The venue is the beautiful Old Bakehouse Tearoom in the High Street, Tarring BN14 7NN. Please join them for a cup of tea or glass of wine – to browse and maybe buy, greetings cards and paintings at affordable prices.